When I was in 1st grade, I got up at 4:30 every morning. I put on my barn clothes, and after a quick bowl of Cream of Wheat, went off to milk cows with my parents. My teacher was also my neighbor, so when I put my head on my desk in the afternoon for a little nap, she let me rest. It didn’t harm my education. In fact, I often revived the technique during my college years to get through boring lectures. I sometimes slept through the bits of free time we were given, but when I didn’t, I discovered two things that shaped my life. The first was a puzzle of the United States. I practiced that puzzle until I could put it together without having to consider the pieces. The entire world became a puzzle to me; I studied maps until I could put the different colored pieces together in my mind. Unfortunately, this never helped me in a Spelling Bee, where I always found myself sitting down after the first round. Geography Bees weren’t a thing yet. 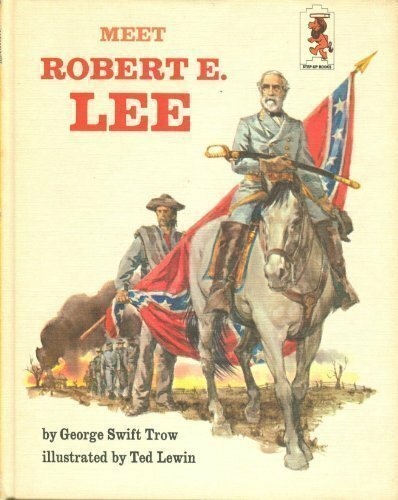 The second was a book: Meet Robert E. Lee, hardly the reading material you’d find in a 1st grade classroom these days. I expect 1st grade book collections have changed since 1973. It’s hard to pinpoint when love affairs begin, but the fact I remember this hints that it had something to do with kindling my interest in history. I wanted to know more about long-gone people and the lives they led. More than that, I wanted to read. 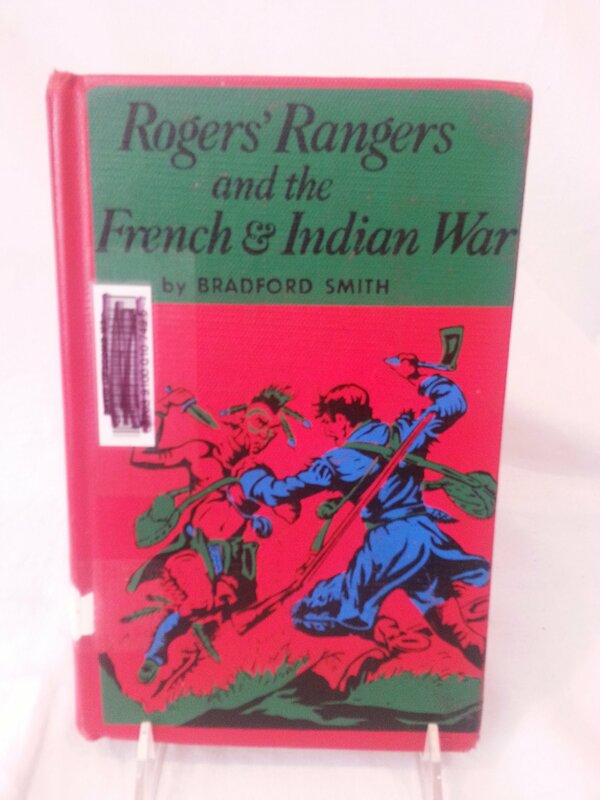 I checked out of the library a book called Rogers’ Rangers and the French & Indian War. It was a middle school book, and despite my not comprehending it very well, I read the whole thing. It inspired me to play French and Indian War games in my Cap’n Crunch – the yellow pieces were the French and the Crunch Berries were British. The milk was a reminder that I had to get up at 4:30 next morning. I doubt this cover will be featured on the front of next month’s Scholastic catalog. Why do I mention these things? Partly, it’s because I don’t have anything more interesting to mention this week. It’s also because all our boys will be in elementary or preschool next year. I’m hoping each of them will find something in school that makes his little synapses crackle and fires him with a hunger for knowledge. It would be nice if whatever excites them inspires them to read, but maybe they’ll learn in different ways. The boys like maps and Big Brother has revered Mr. Lincoln since he was three, but it doesn’t have to be Geography or History that sparks them, though it would be nice to raise children with an appreciation for what came before them. Speaking of what came before, I’m grateful General Lee lived a fascinating life that drew me into the past. I’m happy his team lost, but I don’t think he would harm today’s children any more than he harmed me. Rogers’ Rangers on the other hand, those guys were rough, firing off all their long words at a 6th grade reading level. They almost took me down. This entry was posted in Random Toy Box and tagged Education, fatherhood, geography, History, humor, parenting, reading, Robert E. Lee, Rogers' Rangers, Sons. I hope they find that too, and things aren’t SO different for them. If only they could find books on Sharknadoes, they’d all have a sharper interest in reading. I loved this post. Thank you for sharing those memories. I hope your boys find stuff that interests them as much. Thanks. I’m sure they will find their interests. If they are subjects you can play out in your Cap’n Crunch, I’ll probably take an interest as well. Okay first: That is an ungodly time for a 7 year old to get up. Wait for anyone to get up really..
Second: Lincoln is one of my hero’s. I’d love to have a sit down with him if only it were possible. Third: I’ll bet your boys will take after you. Even if it may only be an interest in Cap’n Crunch? Lastly: What do kids play (when outside) instead of cops and robbers or war games these days? Crap I sound old asking that..
First: It wasn’t my choice. Second: Lincoln rocks! Third: If they want cereal, they’d better learn to like Cap’n Crunch. Lastly: They still play those games, only not so much at school. Third: What if they don’t? Lastly: So those games only at home? Third: A bowl of milk. Lastly: Only in places you won’t get kicked out of for pretend. And that concludes our counting lesson for today. Now off to play war..
It’s only right that a little history should come in a novel because there’s always a little fiction in History. My fingers are crossed every day. That last book cover looks edgy. Is there a better reason for a schoolboy to pick it up?